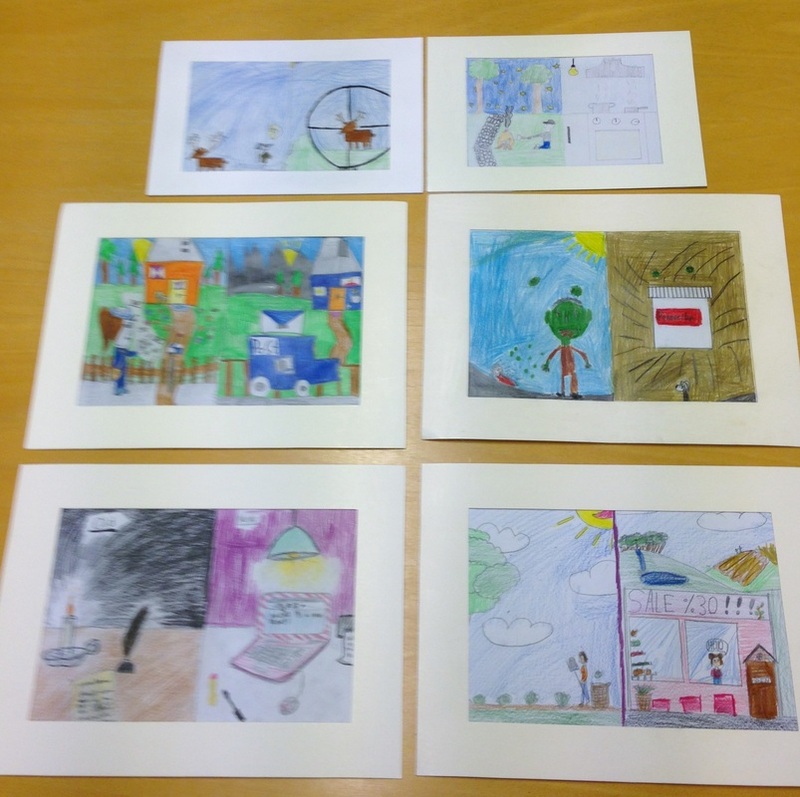 Our pupils drawings for the Art Exhibition "Old and New"
Litlabø skule has so far raised about 1000 pounds for water aid. The pupils have "run for water" where they got paid by parents and family for how many rounds they could run around the mining area close to school. We also had an open day at school where they sold things they made to parents/family.